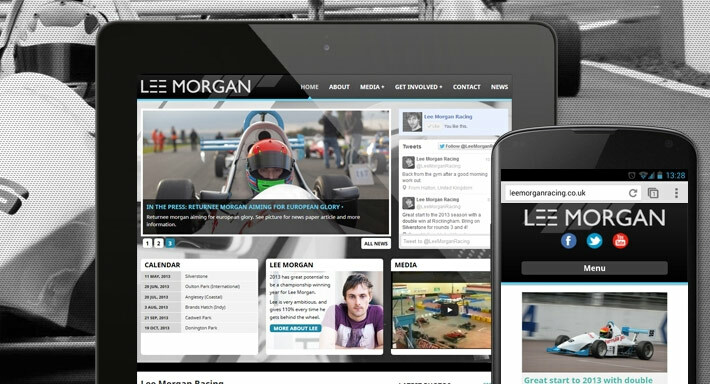 Today saw the launch of the brand new mobile compliant, content managed website for racing team Lee Morgan Racing. The website is integrated with social marketing channels Youtube, Twitter, & Facebook and will be followed with a search & social marketing campaign to raise the profile of the Lee Morgan Racing team. Built on the wordpress platform, the website is mobile and tablet compliant using responsive design principles. The site features an events system to highlight the seasons racing and custom posts to allow simple content updating in house.